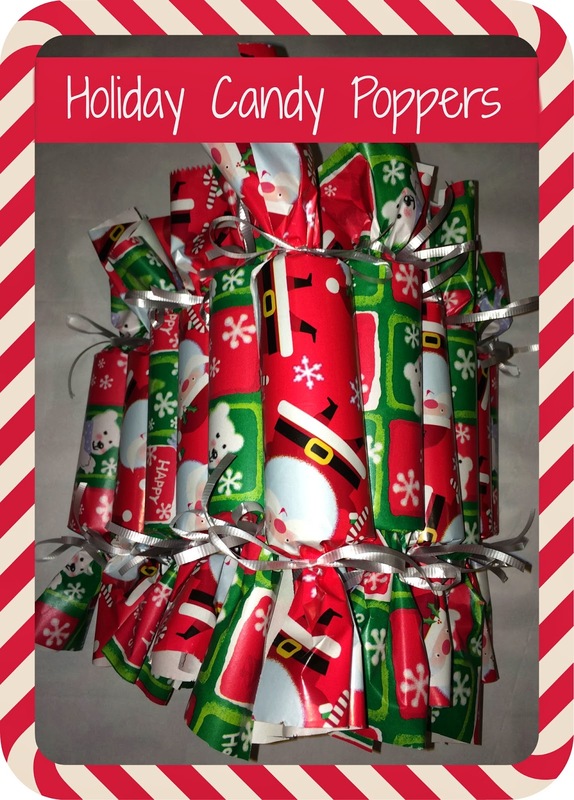 Holiday Candy Poppers are really easy to make. 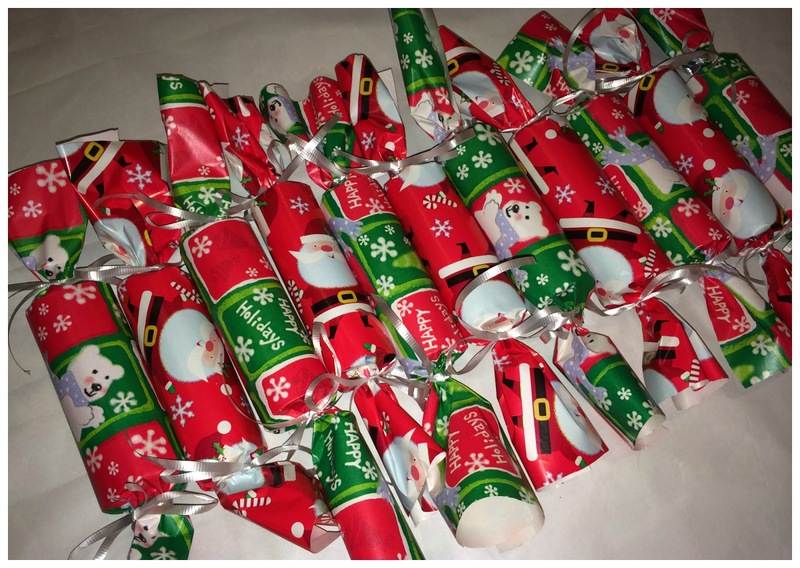 They are a craft that your younger kids can help you make. My 10 year old was able to make them completely by himself. I like this craft because it is fun to receive, easy to make and a fast project. 1. 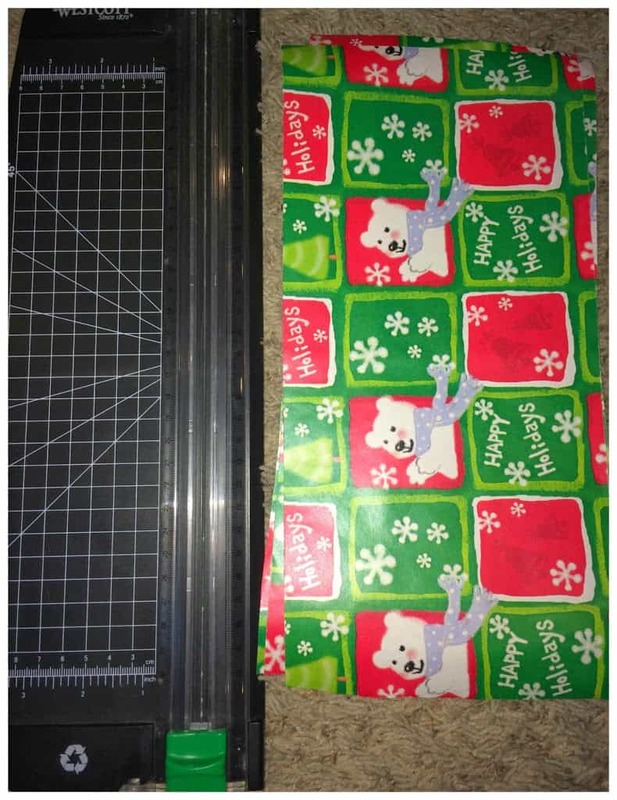 Cut your wrapping paper to 7 inches by 12 inches. I used a paper cutter to straighten my edges. 2. Gather everything you need. 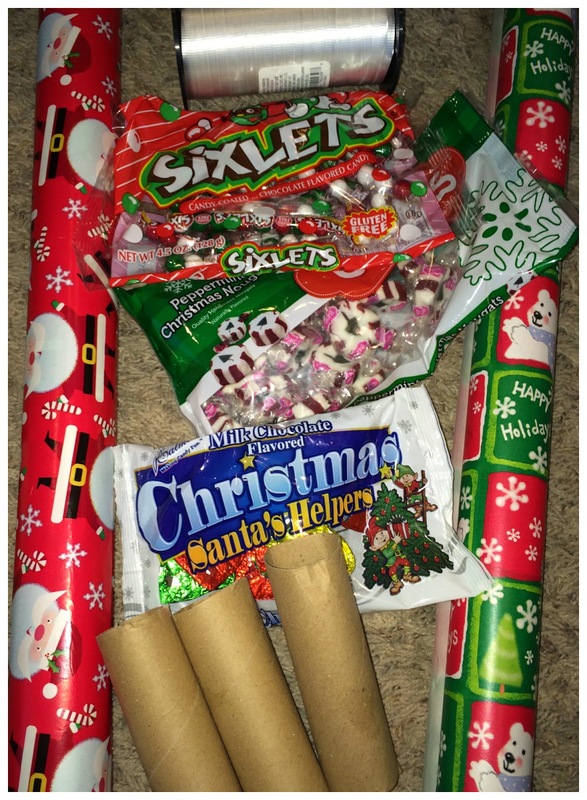 Its helpful to separate your candy into piles so you know you have enough to fill each of your poppers. 3. 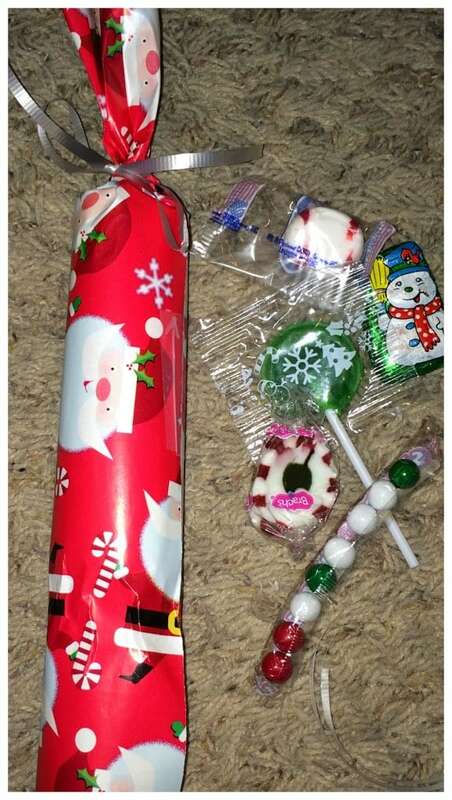 Roll your wrapping paper around your toilet paper roll and tape shut. 4. 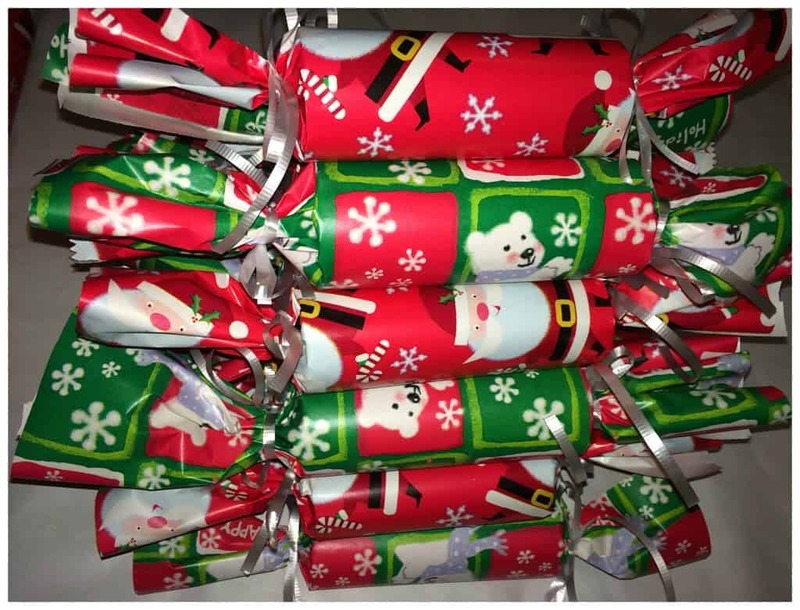 Tie a bow around one side of the toilet paper roll. 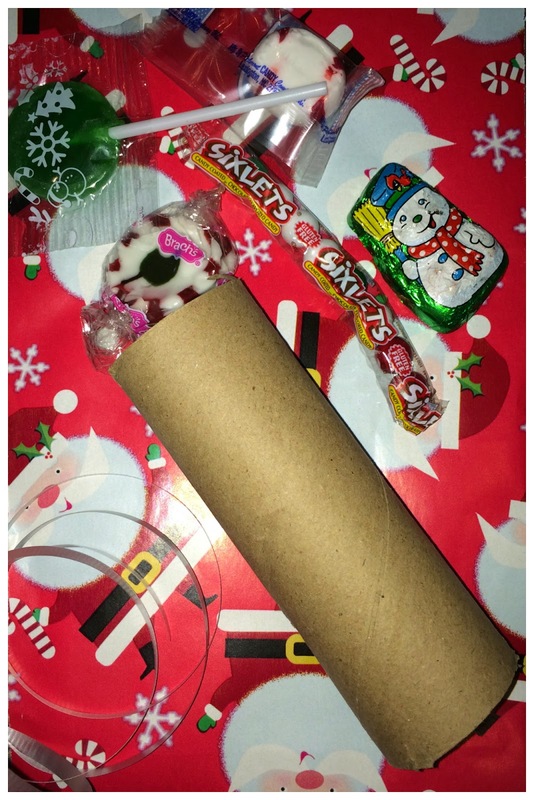 Add your candy inside the toilet paper roll. 5. Tie the opposite end with ribbon. It is perfect for a stocking stuffer, teachers gift, or gift for your kids friends. 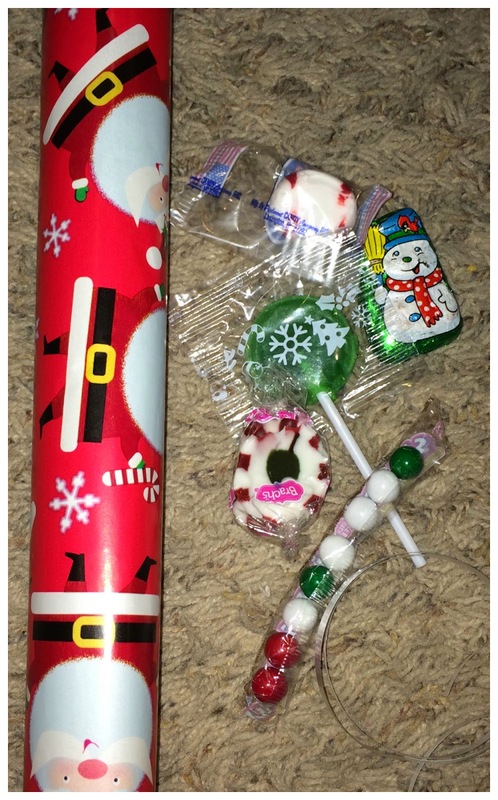 We filled our Poppers with Candy, but you could also use small toys like you would use to fill a Piñata. Next Post: Flirty Aprons Holiday Apron Sale! 50% off and FREE shipping!